So it has been essentially two years since we started Bottom of the Barrel Bourbon Podcast and Blog, and let us tell you, it has been quite the experience. We had no idea how much fun it would be, how much we would learn, how many amazing folks we would meet, and how many great special opportunities we would have in the bourbon and–more broadly–the whiskey world. 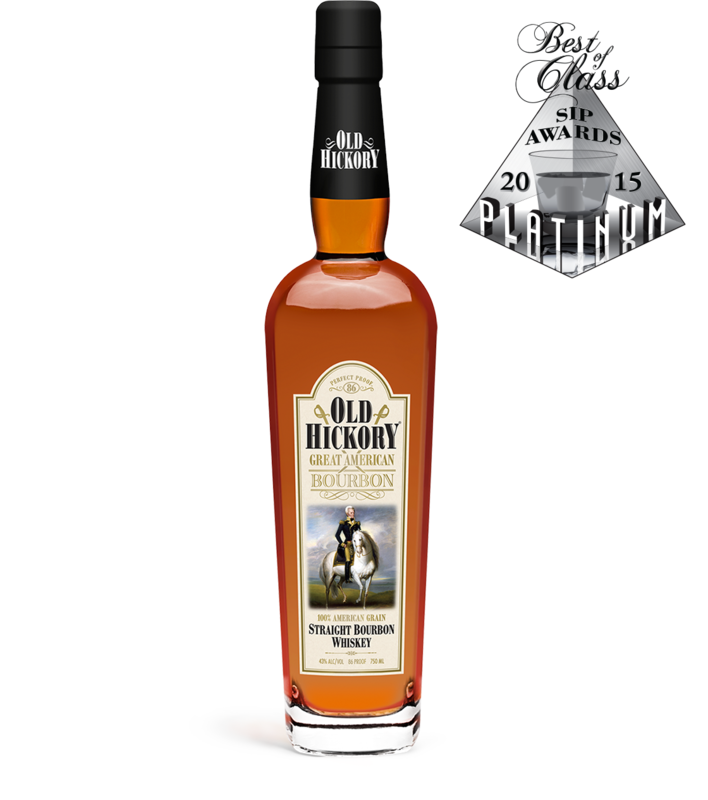 We were recently contacted by Old Hickory Whiskey, and they graciously provided us with two of their products for review: Old Hickory blended bourbon whiskey (black label) and Old Hickory straight bourbon whiskey (white label). All distilling and aging happens at MGP in Indiana. The barrels are selected by master distiller Pam Soule who works at and for MGP. All bottling takes place in Silverton, OH at the Meier’s facility which is also one of the nations’ oldest wineries. Mashbills for both are very high rye and corn, with exact amounts proprietary. Distillery: Midwest Grains, Lawrenceburg, IN. Bottled in Silverton, OH. Age: 4 to 8 year stocks. Palate: Broad, smooth, medium bodied flavor intensity. Leather, black tea, and tobacco notes with a slight astringency. Overall: Nothing objectionable, but nothing memorable. An easy drinker that would benefit from a little more character. Age: At least 4 years. Color: Almost identical to the White Label. In the bottle, the Black Label appears slightly more amber. Nose: Corn and dandelion. After a sit, a sweet butter cream candy (not butterscotch) becomes quite noticeable. Palate: Bright taste with a brief caramel taste. After a sit, chocolate becomes more apparent. Very little astringency compared to the White Label. Be sure to Kentucky Chew this one as it’s a delight on your gums! A little mellowing and the butter cream from the nose makes an appearance. Overall: More character than the white label with a very pleasant palate and finish. Reminds us of a little brother to Michter’s American Whiskey. Normally, we’d stop here in a review as we believe anything more than a few lines is just nonsense when tasting whiskey/bourbon, and we usually wouldn’t talk about mixing in a review at all–but there’s something special to mention here. Whatever you do, buy some Black Label at least, and make a bourbon and Coke with it. It’s the best bourbon and Coke we’ve ever tasted. Put them together, and something magical happens. Deep vanilla notes fly out of nowhere creating essentially an adult Vanilla Coke that frankly has become the standard by which I judge bourbon and Cokes now. Overall, Old Hickory is doing things right. Most new bourbons and whiskeys hitting the market today start at $45 and go up with very little difference in product quality and taste. Old Hickory gets a hat tip for pricing these bottles reasonably. Definitely try the Black Label…and don’t forget the 2 liter of Coke on your way out of the store. Currently (as of this update 1/21/16), Old Hickory is available in TN, NY, NJ, MA, CT, RI, AZ, AR, OK, and WV. TX and NV will be added sometime this year. It’d be nice, as always, if they were sold in KY and SC soon, too! DISCLAIMER: We were graciously provided bottles by Old Hickory for review. What price tab would you put on a 7 year old bottle of Old Hickory Straight Bourbon 86 proof, bottled at Antwerp, Belgium for Publicker International, INC. And has been the property of a gentleman in Germany since 1959? We don’t know anything about the bottle you mention, sorry! Thanks for the review. Saw this one on the shelves in Dallas TX recently. Is this higher rye than Old Grand Dad? (OGD is my typical go-to for a bourbon and Coke, as I find OGD to be the spiciest of the sweet bourbons.) You’re comments at the end of your review definitely have me intrigued! Thanks! Hi! Sorry for late reply. We weren’t told the exact mash bill of Old Hickory if memory serves. Old Grand-Dad is also somewhat shrouded in mystery, as there was a brand buy out by Jim Beam from Heaven Hill, and Fred Noe dodged our questions when asked! But we agree, OGD is great in general, and especially bonded. Keep on reading and listening to us!